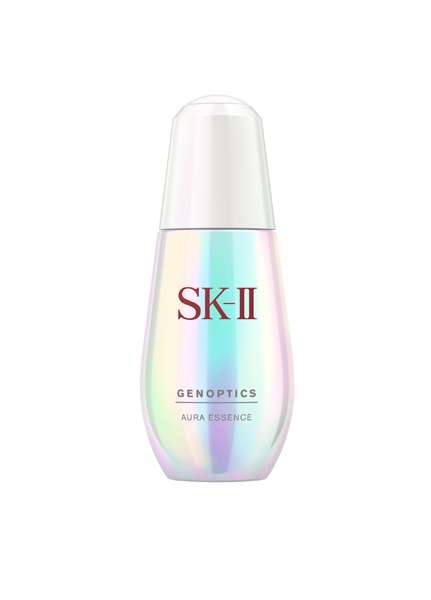 All Posts Tagged With: "SK-II"
SK-II is excited to launch a new, limited edition Facial Treatment Essence for Mother’s Day! Celebrate mother’s day with the perfect gift inspired by Sakura, Japanese cherry blossoms. At the Monique Lhuillier Spring/Summer 2015 show in New York, Monique Lhuillier presents a collection that evokes the opulence of a budding sunrise sky; painted with soft-petal shades, translucent reflections and iridescent satin. 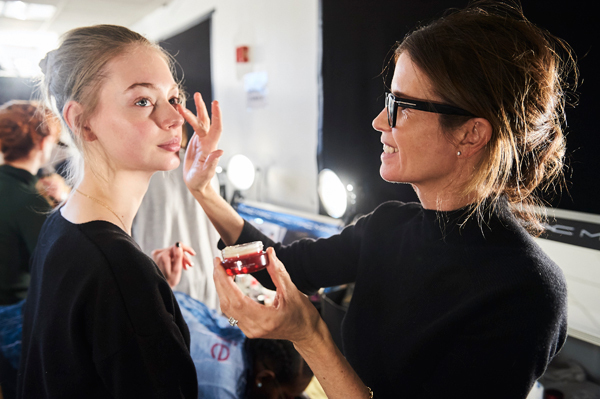 To achieve a dreamlike look, SK-II prepped models backstage by applying a Facial Treatment Mask to cleansed skin. I’m a big fan of SK-II skincare especially their Skin Signature line. The new addition is their SK-II Skin Signature Eye Cream and it’s simply fabulous. I’m very picky with skincare, haircare, makeup and all things beauty. Ha! I only recommend products that actually work for me. This eye cream is super hydrating, bit heavy so perfect for the cold winter months, has a very pleasant scent, long lasting moisture, and fast absorbing. Looks like it ticks all the boxes. 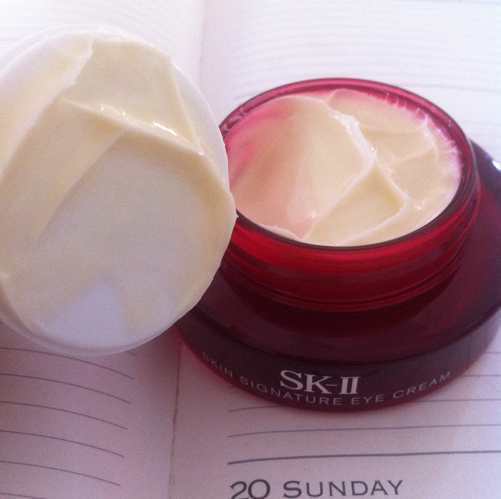 The NEW SK-II Skin Signature Eye Cream is available at SK-II counters from October 2011. 15 ml/$110. My Japanese friends tells me that SK-II is a super star skincare line in Japan and that every girl wants it. Well, I know why because I’m in love with all SK-II skincare products. Their latest SK-II Cellumination Mask-In Lotion is not exception. Once I started using it I couldn’t stop. It’s an intense hydrating fast absorbing liquid lotion.I use it in the morning or evening right after I wash my face. Worth trying. 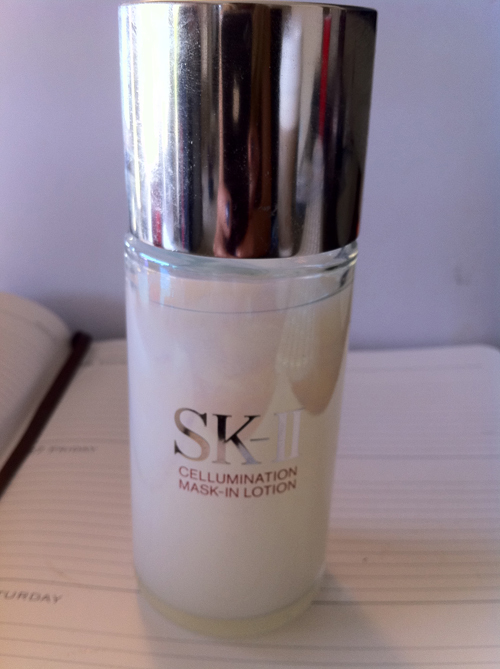 More about SK-II Cellumination Mask-In Lotion & Facial Treatment Cream Foundation HERE. Great Skincare Products. 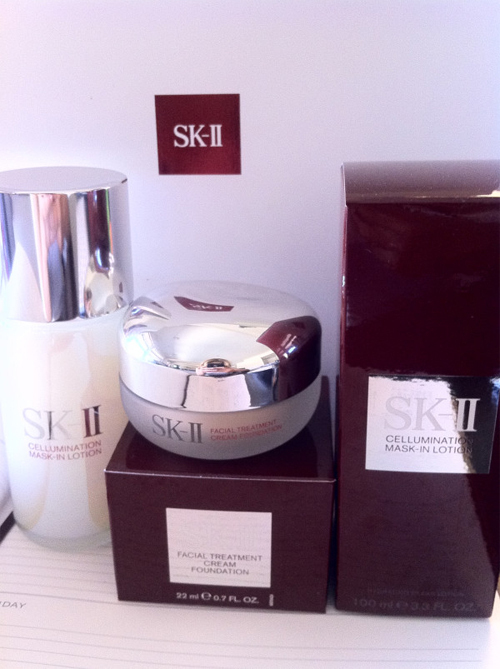 These 2 new products SK-II Cellumination Mask-In Lotion & Facial Treatment Cream Foundation are the latest from SK-II Skincare this spring. I’ve been using SK-II & LOVE it. My favorites so far are: SK-II Facial Treatment Essence which I use first thing after my shower and before putting any creams on, it’s instant hydration. SK-II Skin Signature the cream of all creams, total luxury for my face. 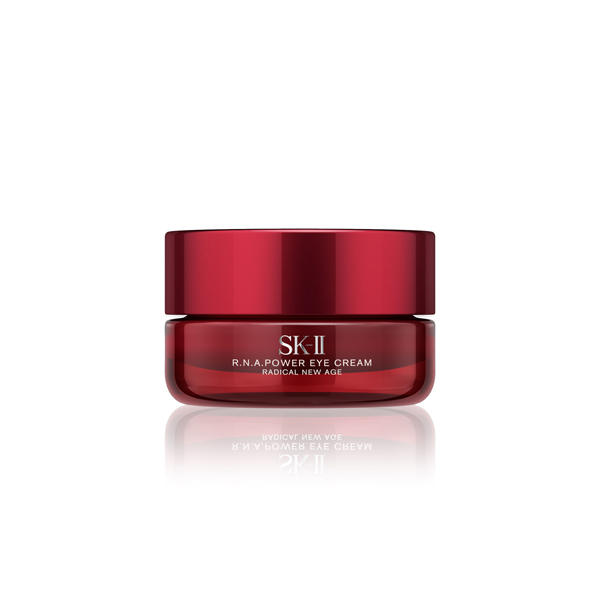 SK-II Skin Signature 3D Redefining Mask the days I feel my skin needs extra TLC.